Nose: Old newspapers burning on a peat fuelled bonfire – pencil shavings - dried seaweed – samphire – caramelized fennel fronds - Maldon sea salt – lemon peel - pink grapefruit zest – sugared almonds – Fry’s Chocolate Cream bar – orange oil – tobacco leaves – fresh ginger and garish grounds of black pepper. Palate: A pleasurable palatable pounding of peat - Cafe Creme cigars – sherbet lemons – Waitrose treacle tart – Cadbury Crunchie bar – toasted granary bread smeared with Rose’s lime marmalade – cloves – paprika – black and pink peppercorns - Lapsang Souchong tea – charred oak and the tiniest tease of something subtlety menthol. 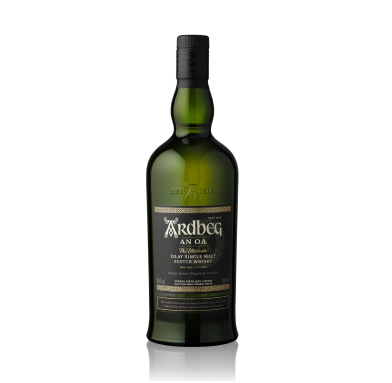 Finish: A fabulously feisty, smoky and spiced, long lunge-ette of a finish. 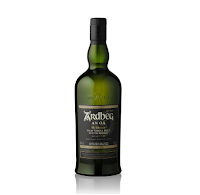 Summary: Ticking all those signature Ardbegian boxes, this latest release is noticeably younger to the brands epic 10 Year Old bottling (not in a bad way) but it makes for a superbly sassy addition to the Ardbeg core range.